AgPHRx is an all-natural, food grade and eco-friendly product that is designed to adjust pH and water hardness naturally in one-step more effectively than many conventional and mechanical application methods. This product works extremely well with various hardness and pH of well water. It makes water pH stable, chelates various dissolved minerals, and helps blend various fertilizers and herbicides, which enhance the effectiveness and performance of the fertilizers and herbicides. USE 16 ounces of AgPHRx per 100 gallons of water to adjust pH of spray tank mixture. AgPHRx can be applied to all field and row crops. May be foliar applied by air or ground application equipment. AgPHRx should be added to tank water first with sufficient agitation. A jar compatibility test is recommended when mixing with other products. Not recommended with petroleum-based products of herbicides or fertilizers. When using AgPHRx in foliar sprays, the recommended rate is 16 ounces AgPHRx per 100 gallons water. Pivot/Irrigation application 16 ounces per acre per turn (3x) are recommended. Do not store product in direct sunlight. Protect product from freezing. Always check pH of tank mixture when adding AgPHRx to tank to maintain optimum pH level. Keep out of reach of children. Harmful if swallowed. Avoid contact with skin, eyes or clothing. In case of contact, immediately flush skin, eyes or clothing with plenty of water for at least 15 minutes. Nano Ag Technologies, LLC hereby excludes all warranties, express or implied. Nano Ag Technologies, LLC expressly disclaims any warranty of merchantability and any warranty of fitness for a particular purpose. There are no representations between Nano Ag Technologies, LLC and any third party other than those expressly set forth in this writing, and all reliance with respect to any representations set forth in this writing. 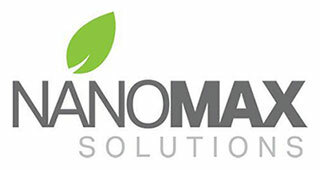 The purchaser of any product sold by Nano Ag Technologies, LLC accepts the product “as is” and the purchaser assumes any and all risks associated with the use of the product.